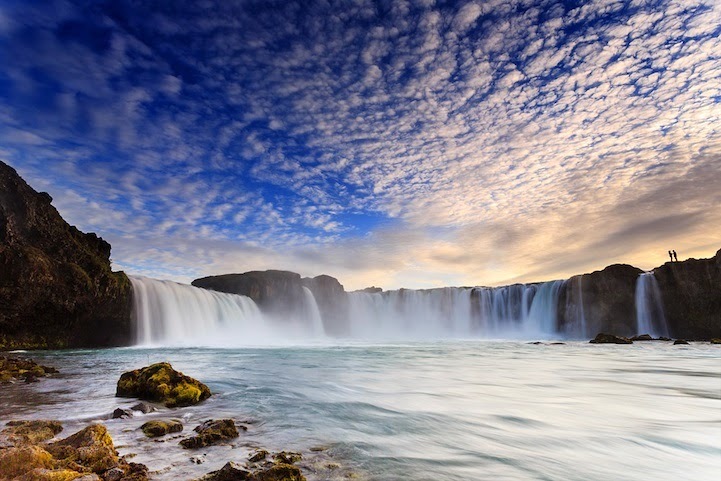 If you think waterfalls are a dime a dozen, feast your eyes on Godafoss or the Waterfall of the Gods. 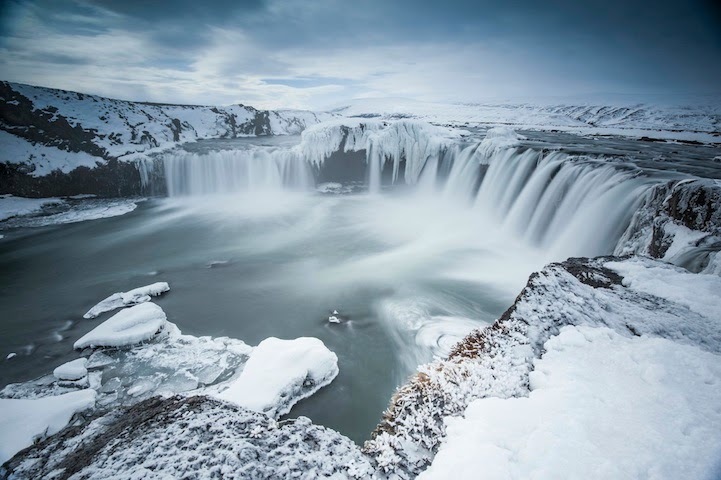 Although it's worthy of a thousands images extreme weather makes it hard to shoot even one.The Goðafoss waterfall of the gods or waterfall of the goði is one of the most magnificent waterfalls in Iceland. 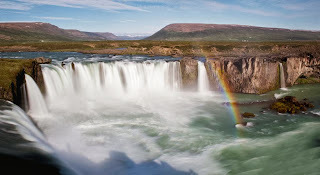 It is to be found in the Mývatn district of North-Central Iceland at the beginning of the Sprengisandur highland road. 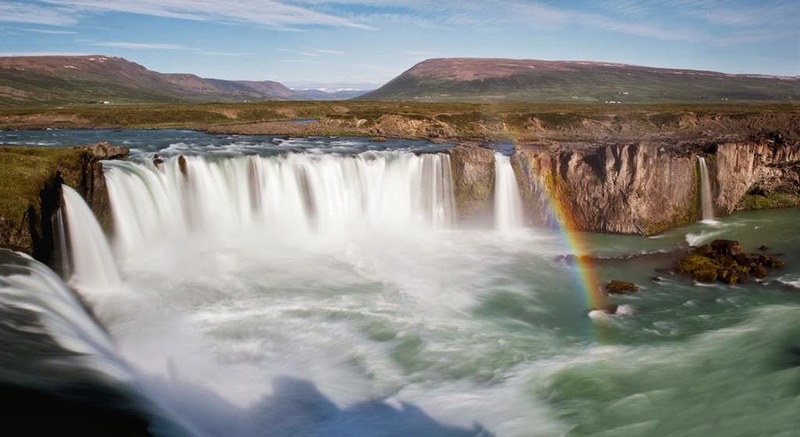 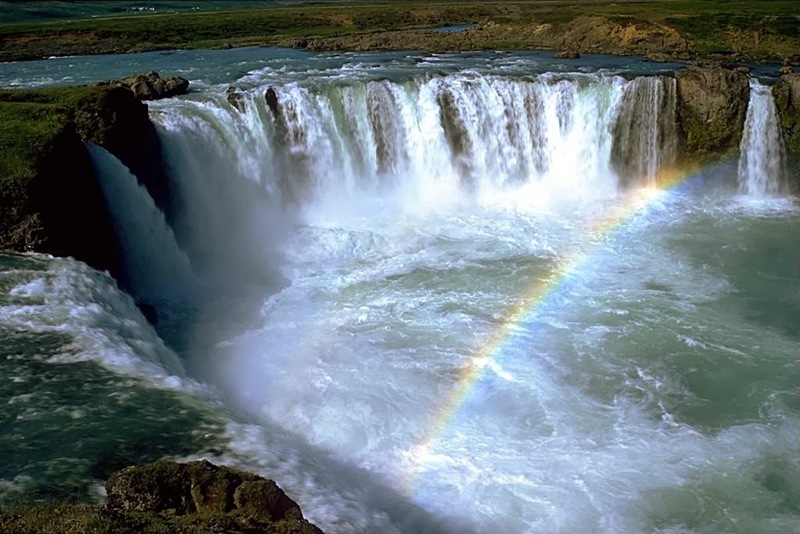 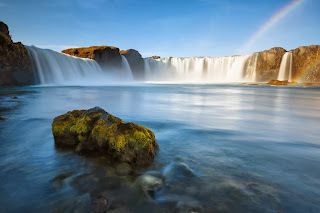 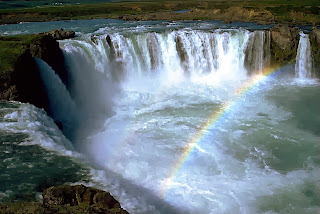 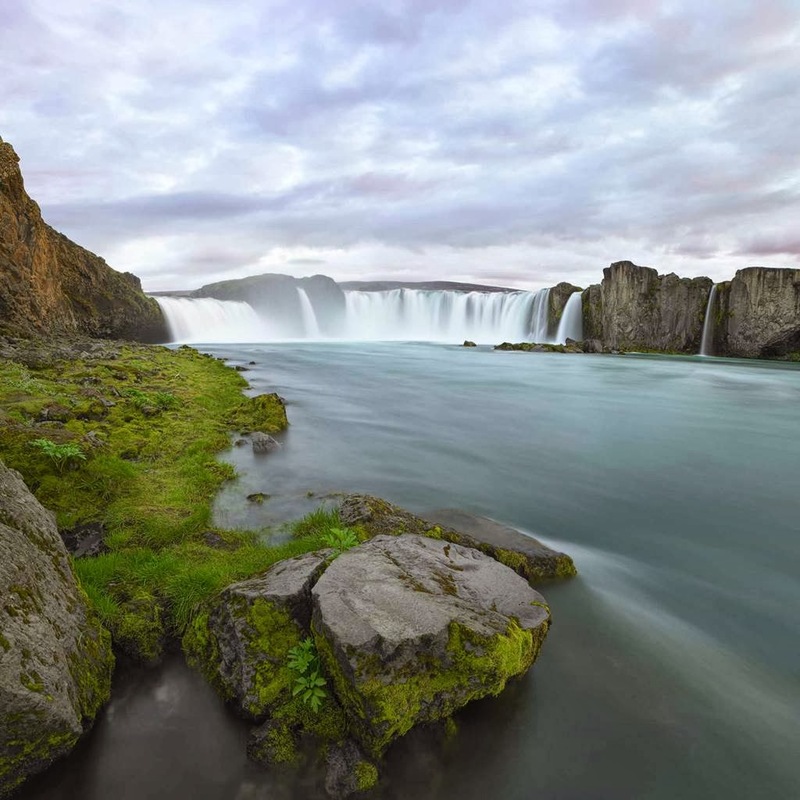 The water of the river Skjálfandafljót falls from a height of 12 meters over a width of 30 meters. 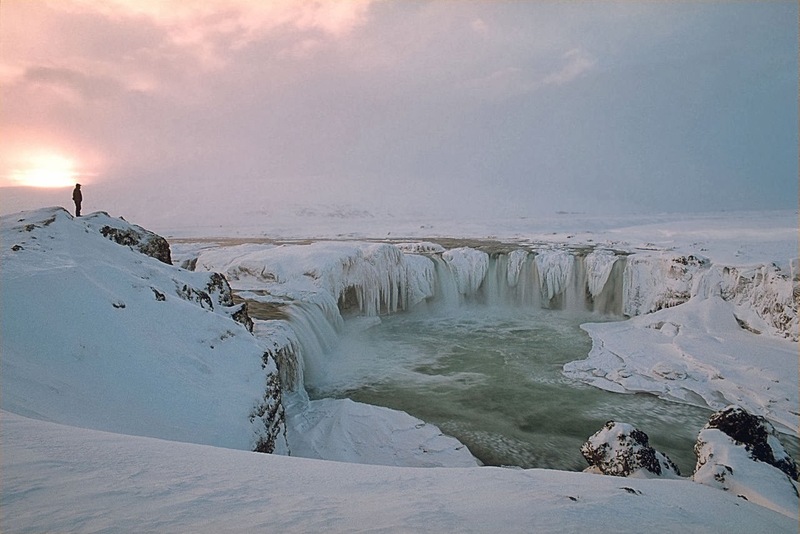 MS Goðafoss, an Icelandic ship named after the waterfall, was carrying both freight and passengers, and it was sunk by a German U-Boat in World War II, resulting in great loss of human lives. 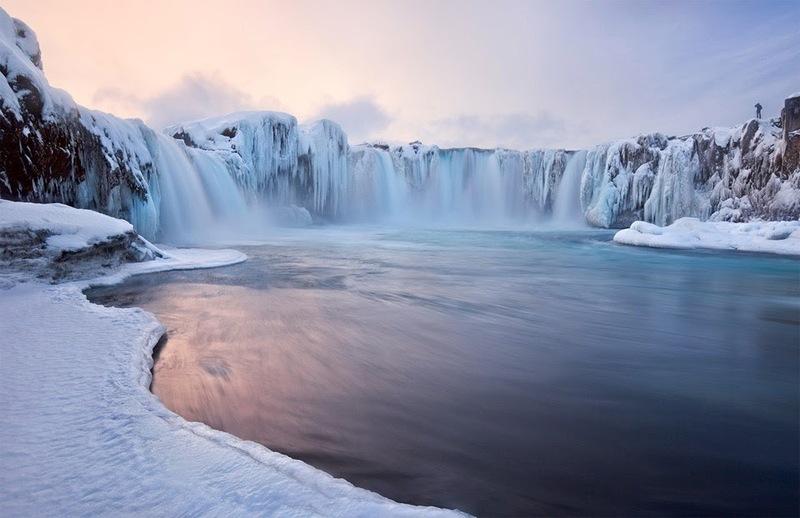 Most of the Photographer had similar experience to took a marathon drive to get there and capture incredible waterfall caked in ice. 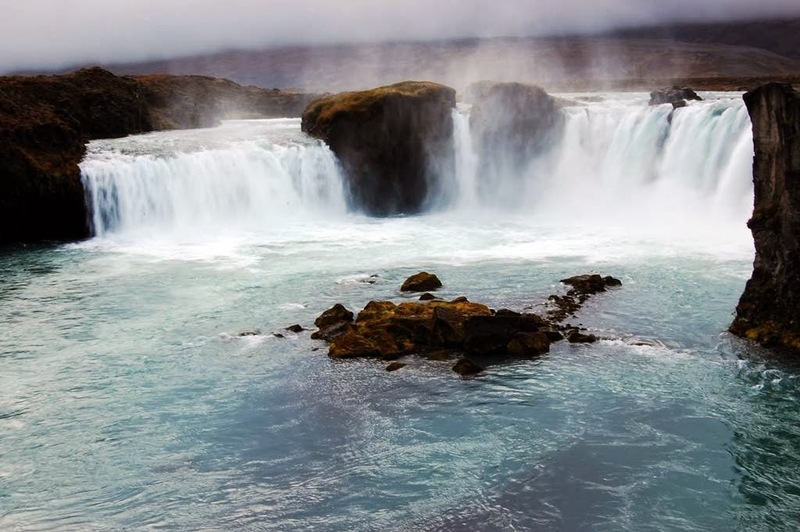 It would be frozen and getting down to this viewpoint required a 30 foot downhill slide on our backsides only to be greeted by the sever spray from the cascading fall. With the temperatures at -15C you could get one frame off before having to spend 5-10 minutes cleaning the gear down of frozen spray only to try again. 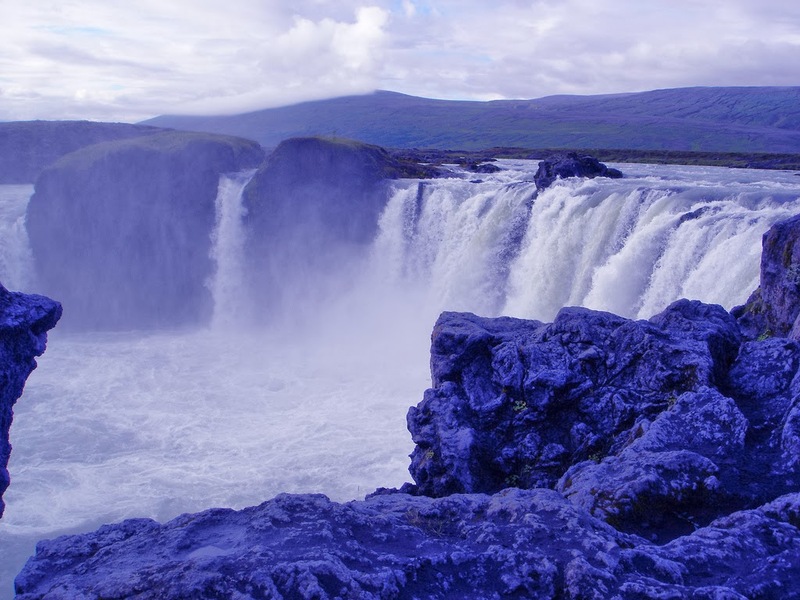 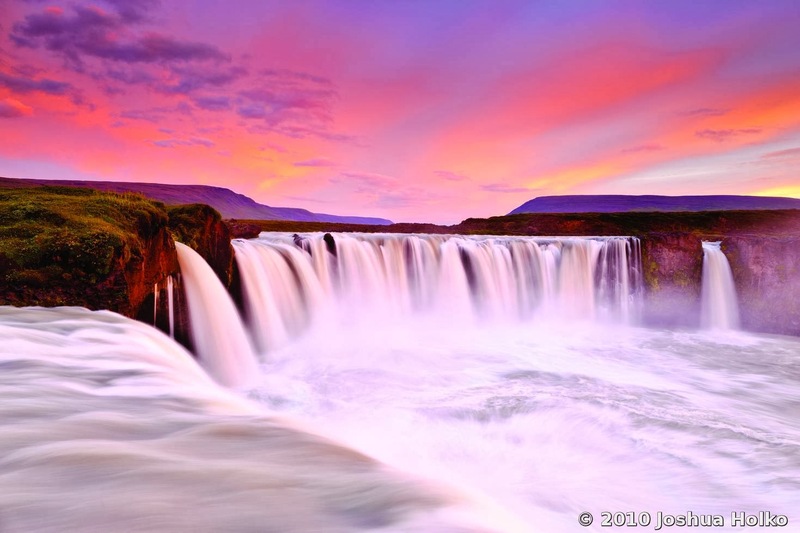 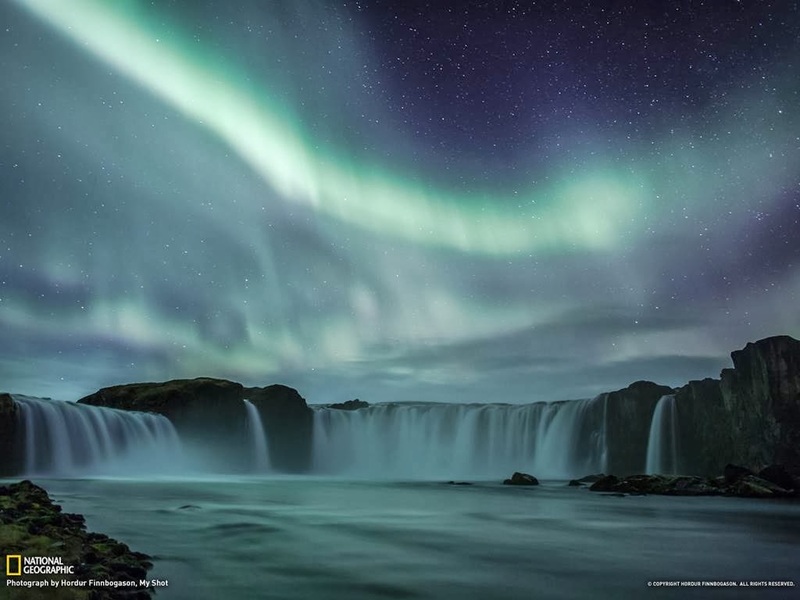 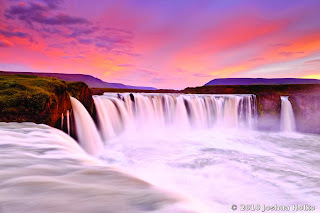 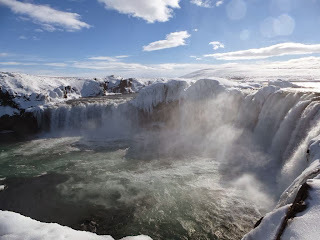 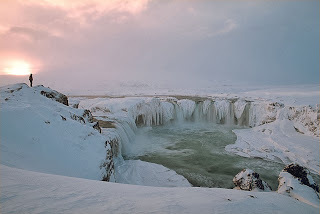 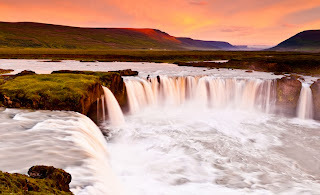 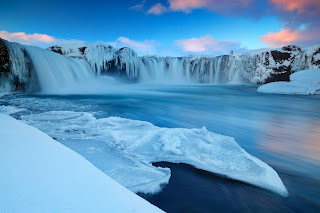 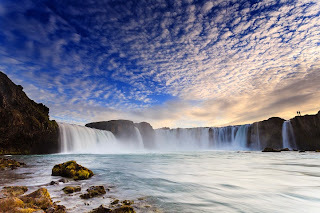 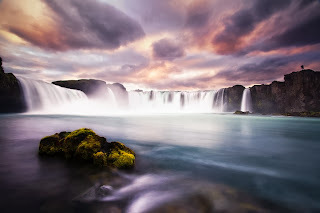 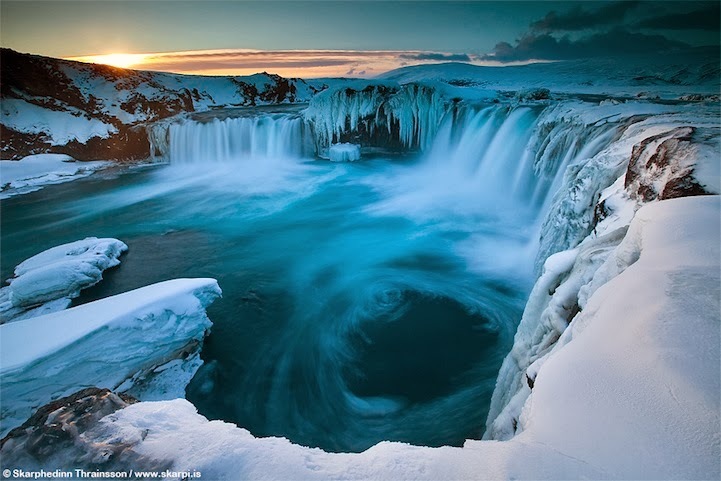 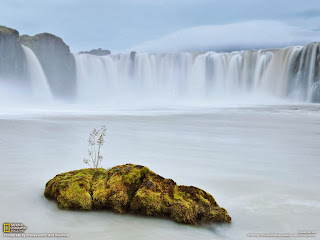 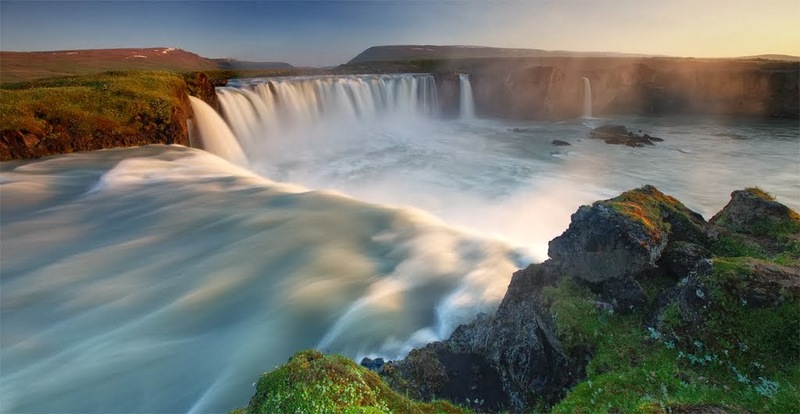 Spectacular Godafoss Waterfall, Iceland from Intrepid Berkeley Explorer on Vimeo.